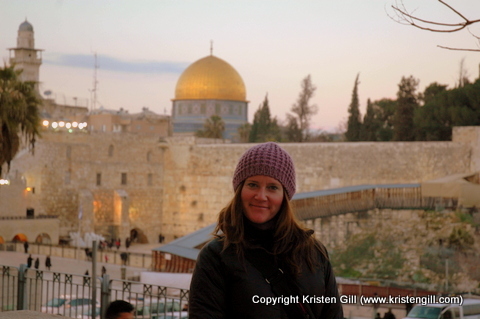 This photo was taken in Jerusalem in February of this year (on my birthday, actually). I can only imagine what it is like there this Easter weekend. After all, this is the Holy Land, the crux of the Christian world, where it all happened. This week is known as Holy Week. From the Mount of Olives, where Christ entered into Jerusalem (and where he predicted his own fate to his followers) to the Coenaculum, the place of Christ’s Last Supper (where he administered the first holy communion to his disciples), pilgrims come from around the world to walk in the footsteps of Jesus. In Jerusalem, Good Friday is a day of epic celebration, with huge crowds gathering along the Ecce Homo archway, once a gateway to the Roman Fortress of Antonia, where Pontius Pilate handed Jesus over to the fickle mob who had turned against him and placed a crown of thorns on his head, mocking him as the “King of the Jews”. On the Via Dolorosa street, Jesus carried his own crucifix, and now followers carrying modern day crosses stop at 14 “Stations of the Cross” commemorating incidents along the way, the last 5 of which are inside the Church of the Holy Sepulcher, reputedly the site where Jesus was crucified, buried and resurrected. It is here on Saturday of Holy Week, in a tradition dating back some 800 years, that a Muslim family (I found this to be very interesting!) unlocks the church. And on this day only, the Sepulcher, thought to be the Tomb of Jesus, is accessible to the public. Pilgrims then light candles from the Holy fire, symbolizing the resurrection of Christ. Wherever you may be on this Easter Sunday, may you remember the Holy Land, and remember to shine your own light in this world.